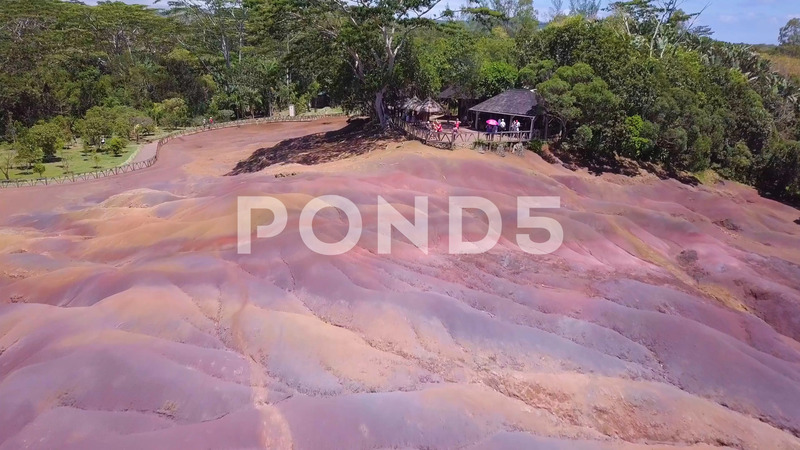 Aerial View Of Chamarel Seven Colorured Earths, Mauritius. Description: Aerial view of Chamarel Seven Colorured Earths. Flight above natural phenomenom in Mauritius island.